On May 20th The Lophams’ Society committee hosted a very enjoyable “Meet and Greet” evening at The White Horse in South Lopham. 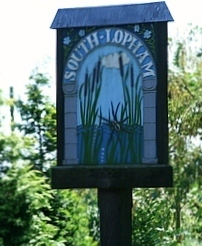 All new residents of North and South Lopham were invited to a social get-together to meet up with other new residents and to find out what goes on in the Lophams. The atmosphere was relaxed and informal allowing plenty of time to chat and during the evening we were joined by representatives from other local groups including The Lophams’ Ladies and The Village Hall committee. It was also an opportunity to introduce new residents to The Lophams’ Society and hopefully encourage them to come along to future events where they can now meet up with some familiar faces. Many thanks to all at The White Horse who helped to make the evening a success and for providing a tasty buffet which was enjoyed by all. The next Lophams’ Society event is a Summer Music and BBQ to be held on Saturday 6th July at the Village Hall commencing at 6.30pm, admission £5.